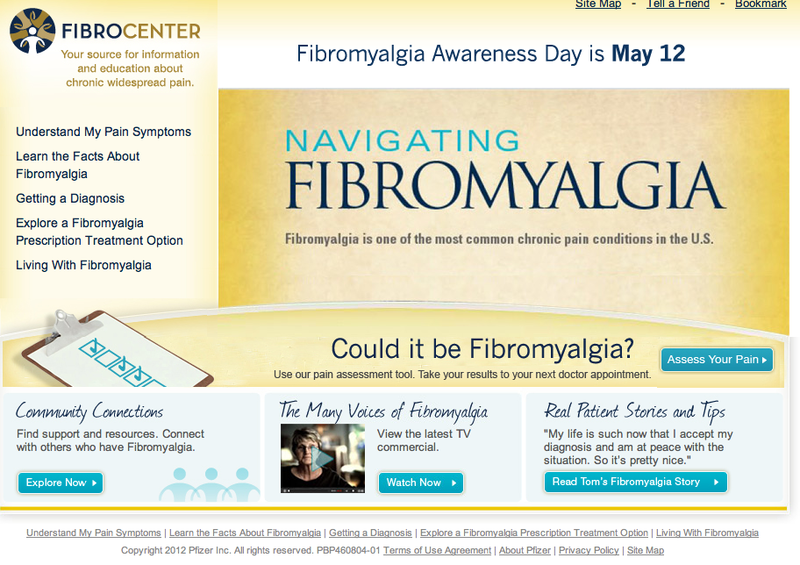 On the world wide web, Fibrocenter offers reliable, evidence-based information about fibromyalgia. Be aware that it is sponsored by Pfizer, manufacturer of the drug Lyrica, which was approved by the FDA in 2007 for the treatment of Fibromyalgia. Good websites with coherent, logical design, search engine optimization (so you can find them), links that work, and viewer-friendly audio-video technology cost substantial money (tens of thousands, even hundreds of thousands of dollars) to set up and maintain. I assume Pfizer will profit from their hefty investment in consumer education. Their website, however, is easy to navigate. It gives reliable, medically sound information about fibromyalgia. It also sells Pfizer’s patent-protected drug by testimony from people who say Lyrica helped them. how much relief can I expect, and is the trade-off (investment of time, money, energy; side-effects and repercussions) worth it? Enough patients who used Lyrica experienced a reduction in (but not elimination of) symptoms to warrant FDA approval. How much is enough? I tried to figure this out. From the way I read the trial results, it seems to me that thirty percent of the people tested reported a thirty percent reduction in symptoms. That’s five percent better than the placebo. As usual, in the Pfizer Lyrica trials, close to twenty-five percent of the people who took the placebo felt better. This is called “the placebo-effect” and it proves that faith is a powerful force. In Lyrica’s case, enough people who took the tablet with the actual drug pregabalin in it, reported they felt better enough to justify the FDA’s permission for Lyrica’s use in the treatment of fibromyalgia. Translating clinical trial mumbo jumbo into plain language: three of ten people with fibromyalgia who took Lyrica reported that it made them feel somewhat better, and when they stopped taking it, they felt somewhat worse. And that’s enough for a drug to get FDA approval for treatment of a condition. Feeling somewhat better is worth a lot. Whether or not it’s worth the risk of side-effects, is, in my opinion, up to the person in pain. Sometimes when pain hits, a little relief is essential, and worth a huge risk. Whether or not you are interested in talking to your doctor about Lyrica, Pfizer’s website is a well-organized and readable introduction to fibromyalgia. Their information about how lifestyle changes, exercise and other coping measures help reduce pain and increase life quality is based on actual scientific research–and they don’t make any claims that you can get good results by taking their drug if you don’t also change your lifestyle. Remember that the “com” in dot-com means “commerce,” and once you’re diagnosed with fibromyalgia, you’re also a target market, easy to manipulate because the unpleasant nature of pain tends to make people desperate to find relief. There is no cure for fibromyalgia, and thinking there is one, will only lead to disappointment and frustration. But I do keep trying things that might offer relief. Only a masochist doesn’t try to get out of pain. If someone is offering me barely more relief than a placebo, I’ll say no thanks, and keep putting my faith where the pay-off is worth it, in a compassionate God and in loving relationships–these supply me strength to get through the trying times.